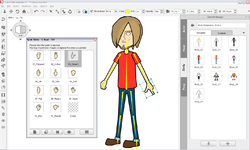 CrazyTalk Animator Standard 2.15 was available as a giveaway on January 5, 2017! How would you improve CrazyTalk Animator Standard 2.15 ? Please try downloading some time later. Dear users, In case you get 404 error message, Please try downloading some time later. Sorry for the inconvenience. The Readme file in the download package has been modified. The second link in the Registration procedure has been changed. Those who had problems, please, having registered on the Developer's website, just follow the first link to get the serial number. message WINDOWS CANNOT OPEN THE FILE !!!!! THE ZIP FILE IS INVALID. Thank you very much for that download !! Alexa Bennett, I was waiting for 2 hours to download the zip file and now I get the message WINDOWS CANNOT OPEN THE FILE !!!!! THE ZIP FILE IS INVALID. Thank you very much for that download !! Our server is overloaded that is why it takes so long to dowload the package. I had no problems downloading. I have Cox and was getting approx 3 mps + download speeds. I was able to download both files after registration. I only wish GOTD would have just offered to download the "Readme" file only because in that text file gives you the link in which to establish an account via registration. After that has been done, reallusion takes you to a page which has two files to download at very fast speeds. On that very same page, it also has your registration code. Best thing to do is to do a quick copy and paste of that info into a text file. GOTD can't handle large downloads like this. At best, I get only about 300 kbs download speeds. That is no good. It's the only thing about GOTD I don't like. Alexa , I had no problems downloading. I have Cox and was getting approx 3 mps + download speeds. I was able to download both files after registration. I only wish GOTD would have just offered to download the "Readme" file only because in that text file gives you the link in which to establish an account via registration. After that has been done, reallusion takes you to a page which has two files to download at very fast speeds. On that very same page, it also has your registration code. Best thing to do is to do a quick copy and paste of that info into a text file. GOTD can't handle large downloads like this. At best, I get only about 300 kbs download speeds. That is no good. It's the only thing about GOTD I don't like. I have a high speed broadband connection. Still took 33 minutes to complete download. After that the unzip never completed as it went fairly fast at the beginning to 83% complete. Then unzipping came to a halt to 0 Kb/s. Then back to around 750 Kb/s, then 0 Kb/s. It keep pausing at 0 Kb/s then jump to some higher value for several minutes. I simply got tired of this and canceled unzip operation. Thought that would end quickly. Nope. Unzip window stayed present for minutes. Tried just closing it with usual method: Red X in corner. Locked computer not allowing any activity except mouse cursor movement. I have 6 GB of Ram and 2 very fast (3 GHz+) processors. Had to just shut down with power switch and turn back on. Worse experience I have ever had with a GAOTD offer. Never tried again with this "free" giveaway so never will be able to tried it. Thanks for nothing this time GAOTD. Taught me a lesson here to quit expecting good things on these programs you offer. Too bad you don't do what was suggested and provide the ReadMe.txt file to read for instructions and email any updates to those who are trying the programs should developers make quick improvements when people start having problems. Then maybe you don't keep up with the complaints in real time and letting us know quickly just is not viable for you because it is time consuming. I have a high speed broadband connection. Still took 33 minutes to complete download. After that the unzip never completed as it went fairly fast at the beginning to 83% complete. Then unzipping came to a halt to 0 Kb/s. Then back to around 750 Kb/s, then 0 Kb/s. It keep pausing at 0 Kb/s then jump to some higher value for several minutes. I simply got tired of this and canceled unzip operation. Thought that would end quickly. Nope. Unzip window stayed present for minutes. Tried just closing it with usual method: Red X in corner. Locked computer not allowing any activity except mouse cursor movement. I have 6 GB of Ram and 2 very fast (3 GHz+) processors. Had to just shut down with power switch and turn back on. Worse experience I have ever had with a GAOTD offer. Never tried again with this "free" giveaway so never will be able to tried it. Thanks for nothing this time GAOTD. Taught me a lesson here to quit expecting good things on these programs you offer. Too bad you don't do what was suggested and provide the ReadMe.txt file to read for instructions and email any updates to those who are trying the programs should developers make quick improvements when people start having problems. Then maybe you don't keep up with the complaints in real time and letting us know quickly just is not viable for you because it is time consuming. What a waste of time. I followed all of the instructions including the effort at correction indicated by RR at the beginning of these comments, and I have been unable to get the serial number. Thank you very much, CT v2.15 is super! The download speed is so gated that it takes over 2 hours to download. Not so good. Way to many hoops to jump through for those of us with slow internet connections when compounded by super slow downloads. Something that should have took an hour from beginning of download to full set up taking almost 12 hours by the time you get the 2.14 version and learn you have to go through even more downloading to get the patch and bonus. Then to top it off it said I had to uninstall my registered 2.14 version to install the newest version. Doing it only because I have been needing something like this for a long time. But... I am really not happy with reallusions bells and whistles. I don't mind registering or giving my email and name, etc. But just how many hoops do they expect makes this worth their time to offer in giveaway of the day to build their list and advertise their other products????? What really stinks is I started this before noon and now have 45 minutes to try to get it to finish and am still waiting for the re-install to actually finish before I can do the rest. Could very easily lose out on this at midnight. Then I will go from frustrated to downright pissed off about the time wasted and won't hesitate to share the horror tale to others. When I got the serial number I also was presented with two links for download. I used one of them and got version 2.14.2103.1 (and not 2.15). Why is that? Is there any diffence? Can I afterwards install the exe from GOTD over the previous installation and use the same serial number again, or will I just lose the free gift in that case? And, in the first case, must that be done within the GOTD time limit (5th january 2017), or not? When I got the serial number I also was presented with two links for download. I used one of them and got version 2.14.2103.1 (and not 2.15). Why is that? Is there any diffence? Can I afterwards install the exe from GOTD over the previous installation and use the same serial number again, or will I just lose the free gift in that case? And, in the first case, must that be done within the GOTD time limit (5th january 2017), or not? Good support from Reallusion, it took a couple of hours but after submitting a ticket I got my serial key and installed the program and the bonus pack. Thanks for this offer. 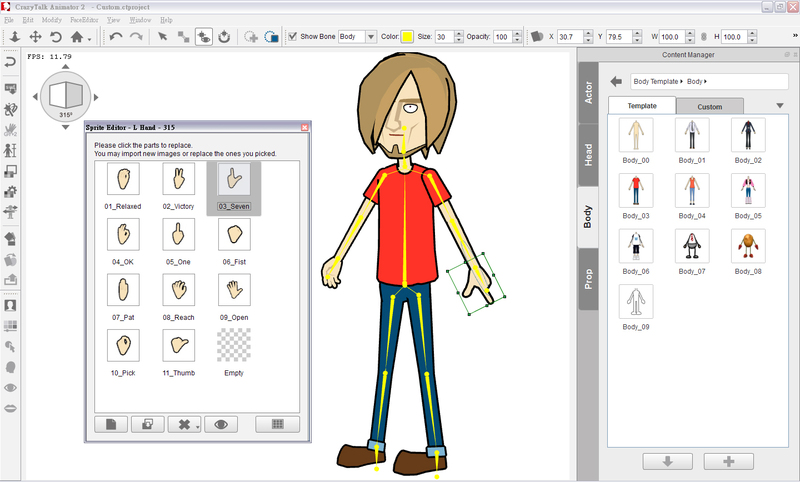 It is a large program but I have played around with Crazy Talk older versions and enjoy creating my own characters. You offer step by step training videos also to help users learn your software. My first interest in this type of application was from yearly subscription to JibJab. Now I can do this on my own using subject and schemes of my choice. It came in very handy around the holidays. I downloaded it this morning since I knew it was such a large program, so by the time I came home, it was done. To Reallusion & GOTD: Just to say thank you - it's going to be fun :) PS Installed, registration and serial key was fast, straightforward (about 2 hours ago). Download crazily slow so I cancelled. only get 40 kb/s max. on a 100 MB/s line - been downloading for 4 hours, tried on three different machines - looks like im not getting this. Can anyone exlain their naming nubering scheme?? I've downloaded crazy talk 7 and it seems like now their offering crazy talk 2.x ??? 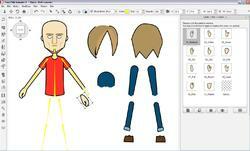 CrazyTalk and CrazyTalk Animator are two different programs by Reallusion. 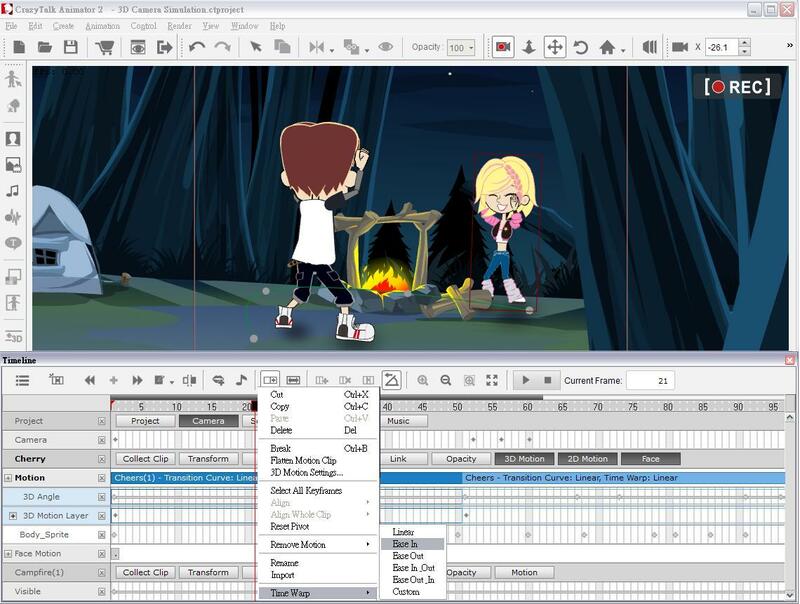 CrazyTalk produces 3D animated and talking heads while CrazyTalk Animator produces 2D animated and talking characters (or heads) moving in 3D. Charles Brotman, Look at post #1 from ouialaraison He wrotes: In case you already have CrazyTalk and are wondering: CrazyTalk and CrazyTalk Animator are two different programs by Reallusion. CrazyTalk produces 3D animated and talking heads while CrazyTalk Animator produces 2D animated and talking characters (or heads) moving in 3D. Yea, they are giving us version2, but they sell version 3 online. The 7 thing you found was probably a hoax. Yea, they are giving us version2, but they sell version 3 online. The 7 thing you found was probably a hoax. Charles Brotman, This is Crazy Talk Animator, which is a companion product to the Crazy Talk software that was offered here a while back. The two apps are completely independent from each other, so you don't need to have Crazy Talk (standard or pro version) installed in order to use this app. I've been having a blast playing around with Crazy Talk 7, and I can hardly wait to see how this animator app works. We've come a long way from the days when Walt Disney would have to hire a gaggle of (really good) artists to hand-paint each and every gel for his animated features - which was no small task - especially when you consider that the frame rate for celluloid film projection was 24 frames per second. Thus, a 90 minute feature film would require that 5,400 hand-painted cels first be individually created, and then photographed one frame at a time! (If you notice, the old Disney classics had very little repetitive elements in them) Then the audio track had to be mastered, mixed and synchronized by hand to match the movements of the film's subject, especially the character's lips which had to be in sync with the speech , background music, etc. That's why it took years to make a single animated feature! It's great that nowadays we have such creative power at our fingertips, and today is even better since we don't even have to pay for it! Thank you so very much, Reallusion, for offering one of your premiere products to us today. I hope your servers are holding up under the crush that I know they're experiencing as a result of this giveaway. Charles Brotman, This is Crazy Talk <b>Animator,</b> which is a companion product to the Crazy Talk software that was offered here a while back. The two apps are completely independent from each other, so you don't need to have Crazy Talk (standard or pro version) installed in order to use this app. I've been having a <b>blast</b> playing around with Crazy Talk 7, and I can hardly wait to see how this animator app works. We've come a long way from the days when Walt Disney would have to hire a gaggle of (really <b>good</b>) artists to hand-paint each and every gel for his animated features - which was no small task - especially when you consider that the frame rate for celluloid film projection was 24 frames per second. Thus, a 90 minute feature film would require that 5,400 hand-painted cels first be individually created, and then photographed one frame at a time! (If you notice, the old Disney classics had very little repetitive elements in them) Then the audio track had to be mastered, mixed and synchronized by hand to match the movements of the film's subject, especially the character's lips which had to be in sync with the speech , background music, etc. That's why it took years to make a single animated feature! It's great that nowadays we have such creative power at our fingertips, and today is even better since we don't even have to pay for it! Thank you so very much, Reallusion, for offering one of your premiere products to us today. I hope your servers are holding up under the crush that I know they're experiencing as a result of this giveaway. Happy and prosperous New Year to all! get serial number and also download Bonus Patch for version 2.15 patch update. 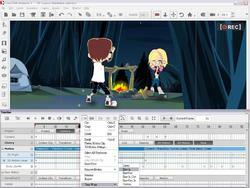 Charles Brotman, CrazyTalk and CrazyTalk Animator are two different programs by Reallusion. CrazyTalk produces 3D animated and talking heads while CrazyTalk Animator produces 2D animated and talking characters (or heads) moving in 3D. When CrazyTalk Animator 2.14 downloads from today's giveaway, user needs to register at: http://www.reallusion.com/event/CTA2Std/giveawayoftheday.html get serial number and also download Bonus Patch for version 2.15 patch update. Charles Brotman, the program being offered today is Crazy Talk Animator (v3 is current); there is another program that is just called Crazy Talk (v8 is current). Read post #1 to understand the difference between the two programs. Charles Brotman, the program being offered today is Crazy Talk <strong>Animator</strong> (v3 is current); there is another program that is just called Crazy Talk (v8 is current). Read post #1 to understand the difference between the two programs. I liked the previous version, looking forward to this one. Ссылка на скачивание программы не рабочая. Знакомит со страницей 404. Авторы, дайте рабочую ссылку!! "Sorry, the page you're looking for isn't here. Maybe you've clicked on an obsolete link or mistyped the URL, or maybe it's just us. Don't fret! Just go to our home page and proceed from there". Which then just goes into a loop of the same error? Oooops! Download page still broken. I requested a download link and it gives this error below: "Sorry, the page you're looking for isn't here. Maybe you've clicked on an obsolete link or mistyped the URL, or maybe it's just us. Don't fret! Just go to our home page and proceed from there". Which then just goes into a loop of the same error? Please fix this. I requested a download link to be sent to me. When I clicked on the link I got an error message which directed me back to GOTD home page. I clicked on the download button on that page and the file started to download but after several minutes it cancelled out. Any suggestions? I don't like adding useless unhelpful comments here, but the download link provided is showing a 404 error on GIVEAWAY OF THE DAY. I am unable to download the software. RR, Same Here in the UK. Why am I getting a 404 not found message now? Is there a new link? can I have it? I have tried several different ways, but I cannot get it to verify the serial number. I get the following error message, even though I am connected to the internet just fine. Setup is unable to retrieve the information from internet to validate your serial number. The problem may occur due to the internet connection failure, DNS recognition problem, or the firewall blocking. If you do not have internet access on this PC, please follow the instructions to continue. IS this computer having internet connection? If I Click Yes, it gives me the following message and when I click OK, it closes the install. Please make sure your internet access is available before running the setup. Click "OK" to exit the setup now and try again later. Make sure the firewall has to be temporarily disabled during the installation process. This computer is not connected online. If you wish to activate the product offline, the activation code will be required from your local reseller. You'll need to first generate the "activation file" sent to your local reseller. Once verified, they'll return with the dedicated activation code for your purchased product to work on this PC. 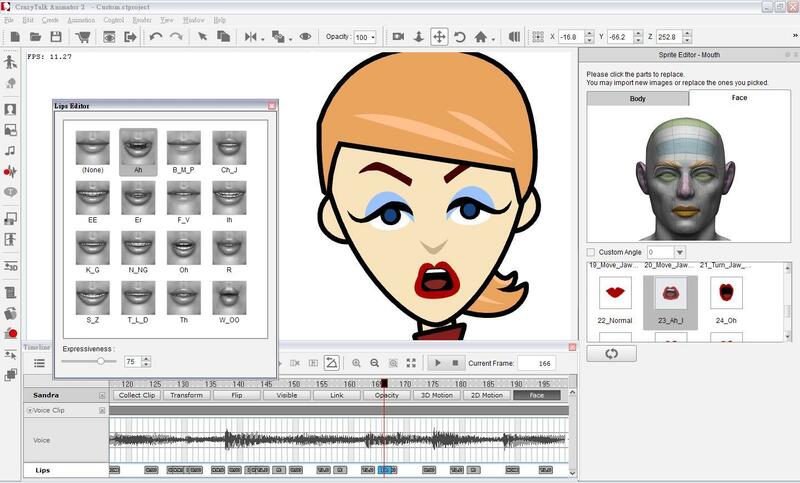 Do you have the activation code for CrazyTalk Animator v2.14 Standard now? I have tried several different ways, but I cannot get it to verify the serial number. I get the following error message, even though I am connected to the internet just fine. Online Verification Failed! Setup is unable to retrieve the information from internet to validate your serial number. The problem may occur due to the internet connection failure, DNS recognition problem, or the firewall blocking. If you do not have internet access on this PC, please follow the instructions to continue. IS this computer having internet connection? If I Click Yes, it gives me the following message and when I click OK, it closes the install. Please make sure your internet access is available before running the setup. Click "OK" to exit the setup now and try again later. Make sure the firewall has to be temporarily disabled during the installation process. If I click NO, I get the following message: This computer is not connected online. If you wish to activate the product offline, the activation code will be required from your local reseller. You'll need to first generate the "activation file" sent to your local reseller. Once verified, they'll return with the dedicated activation code for your purchased product to work on this PC. Do you have the activation code for CrazyTalk Animator v2.14 Standard now? I can not find where to sign in for code. 'Failed to open project!' Anyone else getting this? I just went through the entire and very lengthy installation procedure. I followed the GOTD download procedure and the registration procedure. I still got the message "Event period is over." Please correct this problem! Or extend the period for a day while you correct the problem! Downloaded thinking this was version 2.15, but in reality it is version 2.14. When you login, you can download bonus material. It is a neat program to play with. Very easy to get started. Files are large. A download manager is highly advisable. Thanks to Bojing for the great tip. I would of had to of waited over 4 hours for the GOTD download to complete. Provided some info (e-mail, password, name, etc. ), confirmed account, and downloaded both the 479 MB setup and the 175 MB bonus pack in under a minute. This is a comparison chart for version 3, but I figure it would be a good guide to see what is offered in the Standard version. On a side note, did anyone else receive 22 replies from no-reply@reallusion.com after completing form? Thank you GOTD Team and Reallusion. I have never used animation software before, but I figure since animation software is not giving away very often, I will definitely keep this one. Thanks to Bojing for the great tip. I would of had to of waited over 4 hours for the GOTD download to complete. Provided some info (e-mail, password, name, etc. ), confirmed account, and downloaded both the 479 MB setup and the 175 MB bonus pack in under a minute. This is a comparison chart for version 3, but I figure it would be a good guide to see what is offered in the Standard version. https://www.reallusion.com/crazytalk-animator/download.html#comparison On a side note, did anyone else receive 22 replies from no-reply@reallusion.com after completing form? Thank you GOTD Team and Reallusion. I have never used animation software before, but I figure since animation software is not giving away very often, I will definitely keep this one. 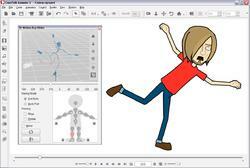 Found these support links for CrazyTalk Animator 2 just in case someone may need them. Okay, installed the program, the update, and the bonus pack. But I don't know what to do with the free animated gif pack. It's a zip file that, after unpacking, it just sits in a folder in downloads and doesn't install. I'm sure there must be a folder in the program itself where these animated gifs should be extracted, but it's not apparent to me. Any clues out there? If you look at comment 18, there is a link given. Go there - to Reallusion's site, and after logging in (or creating an account), you can download from there. It's a LOT faster. It also has the bonus pack but it downloads as an exe and you just click it, and it installs itself to the animator. Hope this helps. Good luck! Injeun, If you look at comment 18, there is a link given. Go there - to Reallusion's site, and after logging in (or creating an account), you can download from there. It's a LOT faster. It also has the bonus pack but it downloads as an exe and you just click it, and it installs itself to the animator. Hope this helps. Good luck! I tried that but it failed and wants a serial number every time. Injeun, there are two different things: the patch and the bonus pack are executables which self install in CT when you double click them. The pack of animated GIFs can probably be stored wherever you want in your PC and seems to be accessible by browsing from the content manager inside the program (on the right side of the window), but so far I haven't been able to figure out exactly how to insert one of these GIFs in a project. Injeun, there are two different things: the patch and the bonus pack are executables which self install in CT when you double click them. The pack of animated GIFs can probably be stored wherever you want in your PC and seems to be accessible by browsing from the content manager inside the program (on the right side of the window), but so far I haven't been able to figure out exactly how to insert one of these GIFs in a project. ouialaraison, Thank you. I will store them in an obvious place, maybe in the crazy talk program folder. We are sorry that this event period is over. For further questions, please contact our support team. It just finished downloading, saw this two hours ago and the link showed it had around 19 hours til it was over, went to the website and did what the readme file said and no luck, i went back to the main GAOTD page and it shows it still has 17 hours to go. I'm confused; seemed fun, wanted it to use for projects for school. "Dear User, We are sorry that this event period is over. For further questions, please contact our support team. https://www.reallusion.com/CustomerSupport/User/QForm.aspx" It just finished downloading, saw this two hours ago and the link showed it had around 19 hours til it was over, went to the website and did what the readme file said and no luck, i went back to the main GAOTD page and it shows it still has 17 hours to go. I'm confused; seemed fun, wanted it to use for projects for school. I received the following message 17 hours before end the limited time to download and install it. I received the following message 17 hours before end the limited time to download and install it. We are sorry that this event period is over. For further questions, please contact our support team. Any suggest ? Thank you all for the interest in Reallusion CrazyTalk Animator. We got informed that some of the users received messages such as: "this event period is over. For further questions, please contact our support team...instead of the serial number"
Please be notice this event is still going, please follow the GOTD download procedure. Ron Mills, Agreed. See post #18, by Bojing. Just do it! 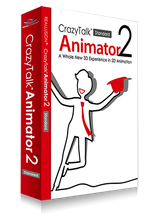 I have CrazyTalk Animator Standard from a previous GOTA offer. Does anyone know if this is a newer version? I don't see any way to check the version in my existing program. 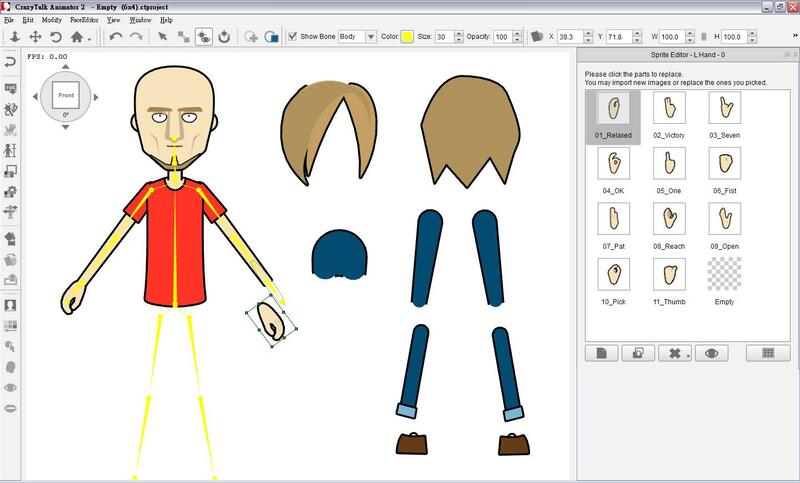 I have CrazyTalk Animator Standard from a previous GOTA offer. Does anyone know if this is a newer version? I don't see any way to check the version in my existing program. After about 30 min of playing around this crazyT... I can say, it's not very intuitive, you need to dig a bit in the help page to do something. I can't recommend it to average Joe who might want to do a short animation for his kid birthday. I just wanted to add, that it's strange that we are asked "How would you improve CrazyTalk Animator Standard 2.15 ?" when this is a 3 years old version and 3.02 is the current one. Anyhow here what's on YT. Two examples from a absolute beginner. Download speed 6bytes/sec estimated download time 12 hours - great advert for your product! When installing this one I had to 1st uninstall other version. Which I find out was crazy-same this different day. This is so long winded, I have fibre optic Broadband so one would expect it to download quicker, I started this download 48 mins ago I have down loaded 133mb of 475mb and it still reckons to have 2 hours left WHY? Bob Stoker, This software is so slow it does not run it crawls very slowly, I have enjoyed previous versions of crazy talk but t h i s i s v e r y s l o w w w babble! Well, after 3 D/L tries, it got here in 100min. Registration is a bit annoying. Now let see if it's intuitive enough. Well, after 3 D/L tries, it got here in 100min. Registration is a bit annoying. Be careful where you install, it's ~1.4GB Now let see if it's intuitive enough. I could not install as it wants a serial number. , log in/create your account, then you can download CrazyTalk from there, if it's too low on this site. And don't forget to get bonus content, it's the 2nd link on that page. IF you follow the first link http://www.reallusion.com/event/freeproduct/default.aspx?cid=104&chk=002085abfdc81b8872352df1026d7188 , log in/create your account, then you can download CrazyTalk from there, if it's too low on this site. And don't forget to get bonus content, it's the 2nd link on that page. Bojing, Many thanks. Download from GAOTD would have taken four hours. Was able to download both downloads(about 650 MB's) from their site in about one minute. So Many Thanks from Canada! I am Truly Thankful for your Post, as without it I would have been Downloading for 2 hours. Bojing, thank you for the excellent tip, I was also able to download everything in about a minute. THANK YOU! Used your link to get my serial number because the link in the zip file was for Iclone giveaway which is over. Bojing, THANK YOU! Used your link to get my serial number because the link in the zip file was for Iclone giveaway which is over. Mac version available? #curious Very slow download nonetheless. To avoid confusion don't use the second link referring to an IClone giveaway in the readme.txt. The first link has it all. To avoid confusion <b>don't</b> use the second link referring to an IClone giveaway in the readme.txt. The first link has it all. Take care.